We had been consuming quite a fair bit of 'meat' lately... and with the recent Eid-ul-Fitr celebration... meat consumption has doubled... the celebration food has always been rich in either meat, coconut milk, ghee or sugar. How not to pile on kilos...sigh... we have started our brisk walking around the suburb yesterday... oh boy!! I was huffing and puffing after 5 minutes of walking... it seems like eternity to reach home... so unfit!!! I have to persevere as not to be laughed at by Mr H Jr (cheeky person...) who thinks that my plan to have our evening brisk walking will only be a 'passing fancy'. Its time to go back to simple food... vegetarain meal once a week. Mr H Jr will not be too happy without his meat!! 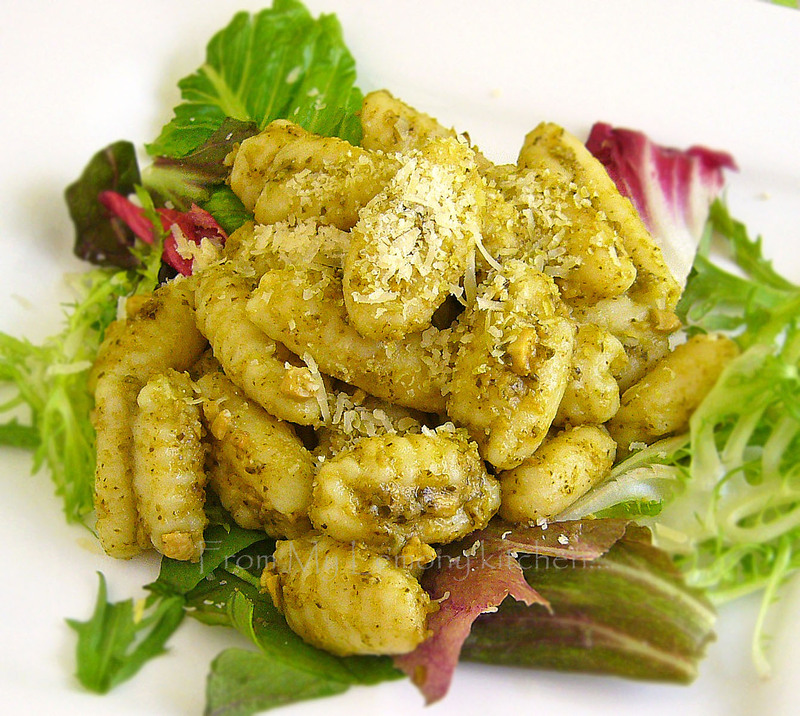 Stir in the pesto into the cooked gnocchi. Season with salt and pepper. and serve with salad. A very hearty and delicious meal! You pernah tak buat gnocchi from scratch? I pernah makan fresh ones and I suka sangat. Nak cuba buat, tapi .. sigh ..